Do you have a water feature in your garden (community or otherwise) or have you avoided it because of safety issues? Ewan Michaels is this month’s guest blogger and he currently works for UK Water Features who are a solar water pumps provider. Ewan enjoys gardening in his spare time and thinks that child safety should be a top priority when designing or modifying a garden. 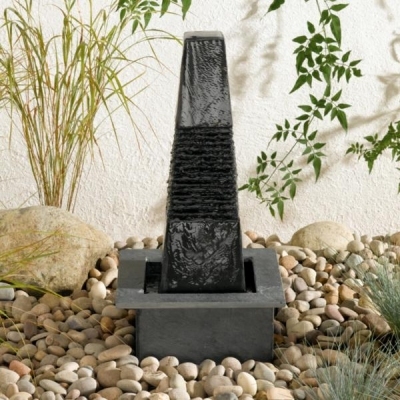 A decorative water feature that has moving water increases the appeal of any garden. Water is soothing to watch and hear as it flows, trickles and splashes. Every gardener who installs a water feature is fully responsible for it. Gardeners who participate in community gardens are even more responsible due to the access the public has as well as the fact that other volunteer gardeners will likely participate in maintaining any water feature installed. The idea of the community garden goes back to antiquity but has only seen a resurgence since the 1960s. Plots of land in villages and cities are turned into everything from a productive vegetable garden that provides food to havens for wildlife. Most gardens attract the public due to their organized beauty and the peaceful serenity they offer to visitors. Young children visiting these gardens have various levels of supervision depending on the guardian accompanying them. It’s important to keep this in mind when adding anything to a community garden. Beyond the child safety concerns that will be considered, there is a need to follow a fundamental common-sense approach to any water feature. Drought-prone areas are no stranger to seasonal hose pipe bans. Large water features may run dry during the hottest part of the season right when a ban is in effect. Features that require smaller amounts of water that can be easily and legally kept filled are a benefit. Also, an approved pump connected to an approved and inspected electrical source is a must. Annual inspections may also be required depending where the garden is located. Child-specific concerns include that the water feature be constructed of a material that cannot be broken even if a child should decide to climb on it. The water feature must also be installed in a manner that it would be impossible for it to tip over if a child should climb on it. The issue is that a strong material that can support weight is usually heavy. Heavy materials falling over can cause serious injuries or even fatalities. No one wishes to bear that concern. Choose a water feature that is too small for a child to crawl into, yet large enough that the water movement creates visual and sound appeal. Pond style features have the risk of accidental drowning. Birdbath type features are interesting and are considered to be much safer. Regardless of the water feature decided upon, be sure to consider it from a child’s perspective. Consider every bit of trouble a child could get into when at play near it. Funny to read of hose pipe bans and drought with all the rain we’ve had over the past few weeks but it’s not that long ago our water butts were empty! We just can’t guarantee the weather in any of our seasons over recent years so it pays to think beyond the here and now. A wildlife pond is top of my list of improvements in my own garden but I really like the ball water feature above which will provide light, reflection and be a lot easier to install too. What do you think? 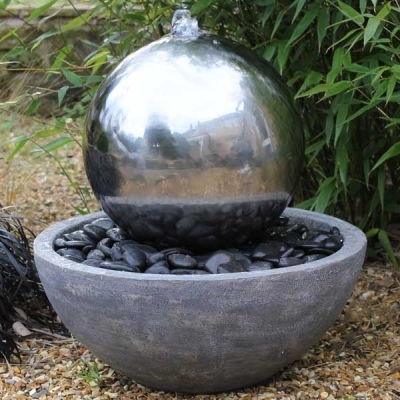 Do you have a pond or water feature in your garden? Harvesting Broad Fava Beans – how many ways do you think you can eat them? Dee is an excellent source of information, always answering questions in a simple and understandable manner, with a talent to convey a variety of subject in a clear, engaging and informative way. 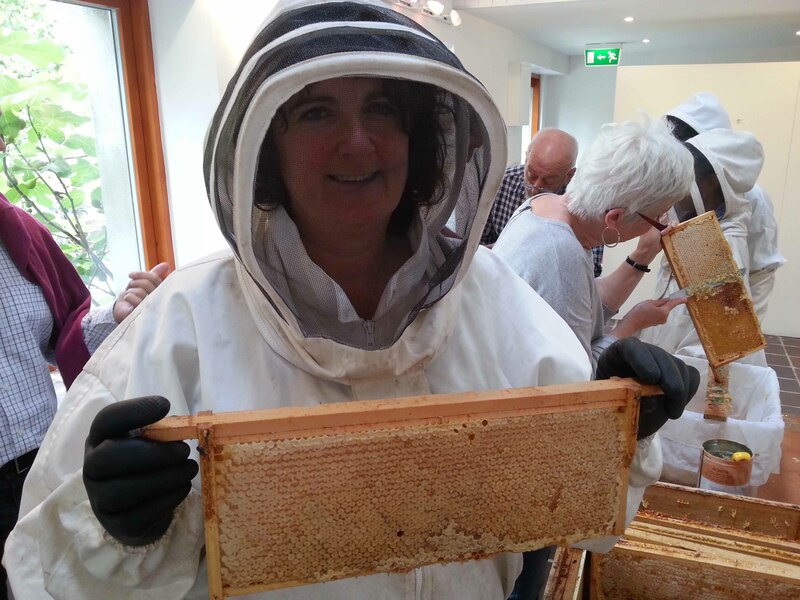 Her passion is very clear and infectious, and she has a great gift of being able to communicate her vast knowledge with people at their own level… a vital talent for a really good teacher/tutor. As a complete novice I got a good idea of what I need to do to start gardening – the pro’s & cons!! Excellent for beginners, covers all the basics for the newcomer to gain confidence.